Imogen's Typewriter. 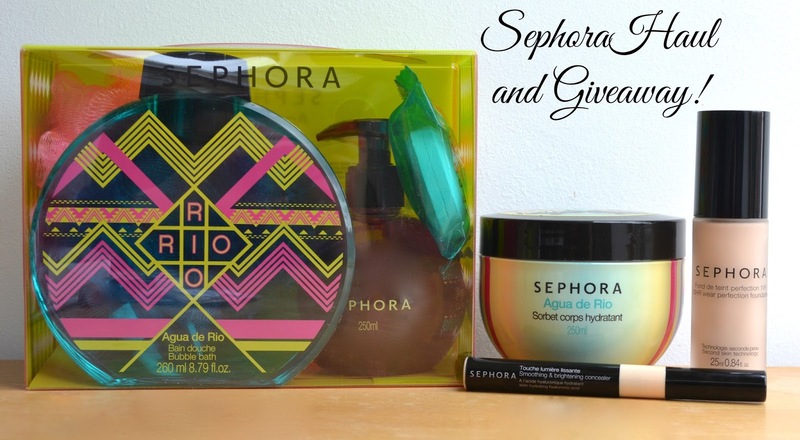 : A Sephora Haul and Giveaway! While I was in Florence I, of course, had to pop by Sephora because I have no willpower. I picked up a few things while I was there from their own brand which I've had a lot of luck with in the past and I thought I would show you and do a little giveaway while I was at it. Oh Sephora, just open a UK store already. 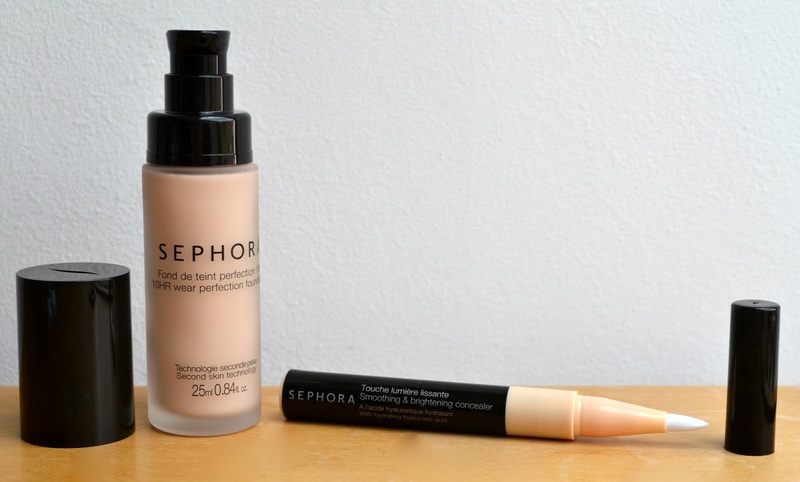 The first things I picked up were a new foundation and concealer because these both seem light enough for my pale skin and have really good coverage. I haven't tried them out fully yet but if they're any good I'll put up a full review but so far- so good! 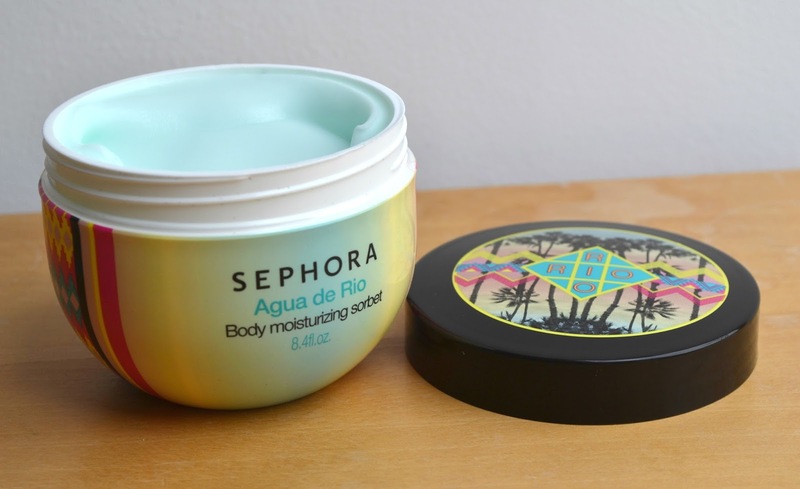 By the checkout was a stand for the Limited Edition 'Agua de Rio' bath and body products and I got suckered into getting the moisturising sorbet because the texture is really interesting! It's like a whipped product but gel-like. Personally I think I'll stick to creams but I can see this being used a lot in the summer when it's just too hot to put anything thick on. 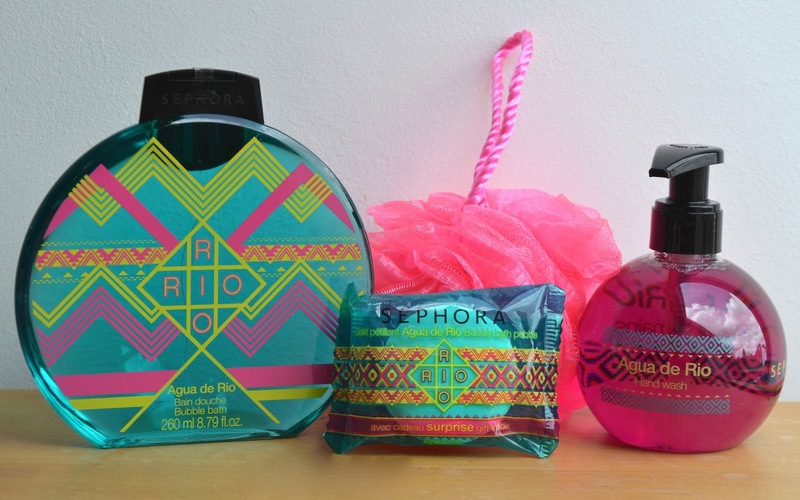 Since I liked the smell of the sorbet so much I picked up the box of 'Agua de Rio' products so I can smell like a fruity cocktail all the time. It helps that the colour of them goes with my bathroom too. It comes with a bubble bath, a hand soap, a bath bomb and a loofa. While I was there I couldn't help but pick up another one of the kits for one of my UK readers since we don't have a Sephora store here! All you have to do is fill out the rafflecopter! Fine Print: This giveaway is UK only. I bought it myself with my own money. If you're under 18 please ask a parent or guardian for permission to enter. The giveaway ends at noon on the 31st of May. Do you like to buy makeup when you're abroad?